T'is the season, the season of joy, cheer and everything sparkly, colorful and beautiful all around. This is the time for baking too, if you love baking. The baking bug inside me also bit me to the fullest. Every year I make dozens of Christmas fruit and nut cake for my family and friends and this year is no exception either. Already delivered to many family members and friends, some are yet to be delivered. 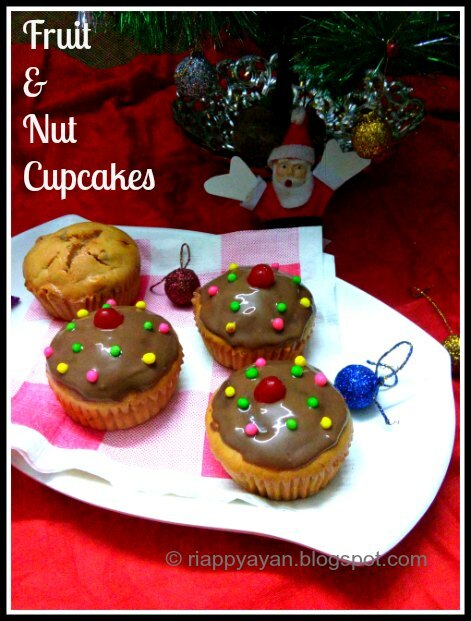 What I made exception this year is I made some cute Fruit and nut cupcakes for the small children of my family and relatives. 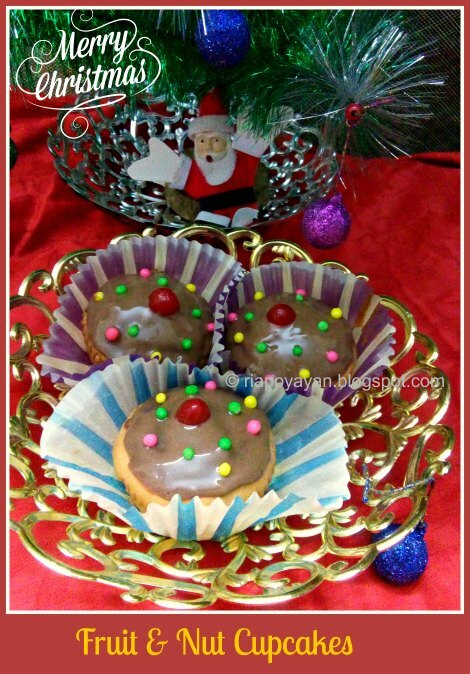 Children love cupcakes and if it is decorated with some chocolates, then they are extra happy. And I just did so. My boys(aged 8) don't love fruit and nut cake, but when I made them into cupcakes and decorated them with chocolates, they were happy to indulge them and finished them within minutes. 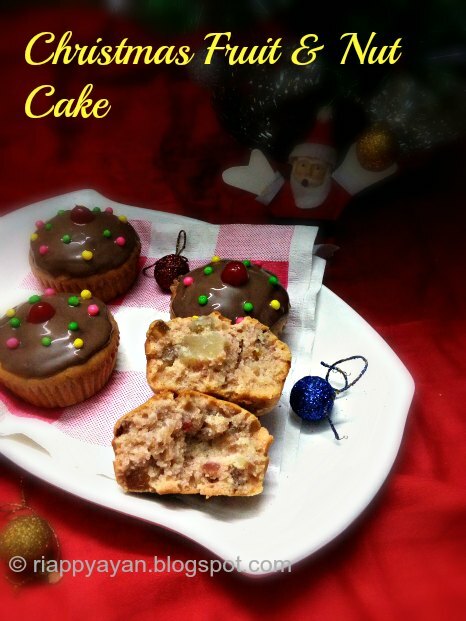 You can also bring some cheer & joy to your kids with this Christmassy Fruit & Nut Cupcake. I followed the same recipe I made this EGGLESS & BUTTERLESS CHRISTMAS FRUIT & NUT CAKE last year.